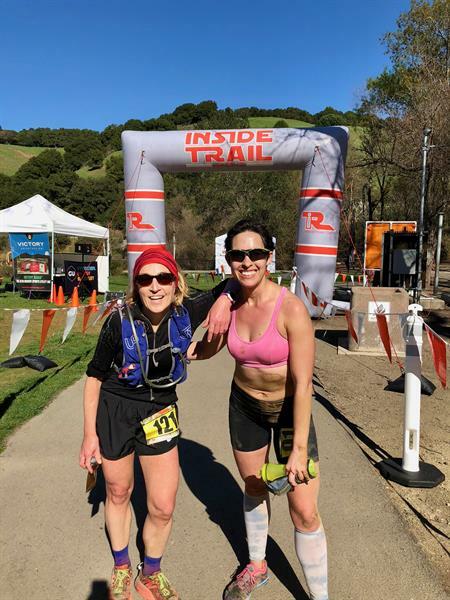 This is a race report about the Redtail Ridge 50k at Lake Chabot, put on by the illustrious Inside Trail Running. On Saturday, at 8:05 a.m., I was sitting in a car in the parking lot of a park. My race started at 8:30. I hadn’t put on my shoes, and I hadn’t picked up my bib. I was not motivated or excited to run this race. I was feeling burnt out. I’m training for my 3rd 100-miler. Race is in early April. I’m running 28-30-milers almost every Saturday, plus whatever the training plan says for the other days. Between work and training for this race, I feel really burnt out – if I’m not working, I’m running, and there’s no time for anything else. I’m starting to dread my workouts [even non long-run days], and that hasn’t really happened before. I haven’t felt this way when training for my past races, which I did primarily by running some 50s and 50ks [fun!] and then just running the race. This time around, training seems like an inescapable slog. I’m wondering if a) I’ve hit my limit of interest for the sport b) I’ve been overtraining or c) training is hard and I wasn’t doing it right before. 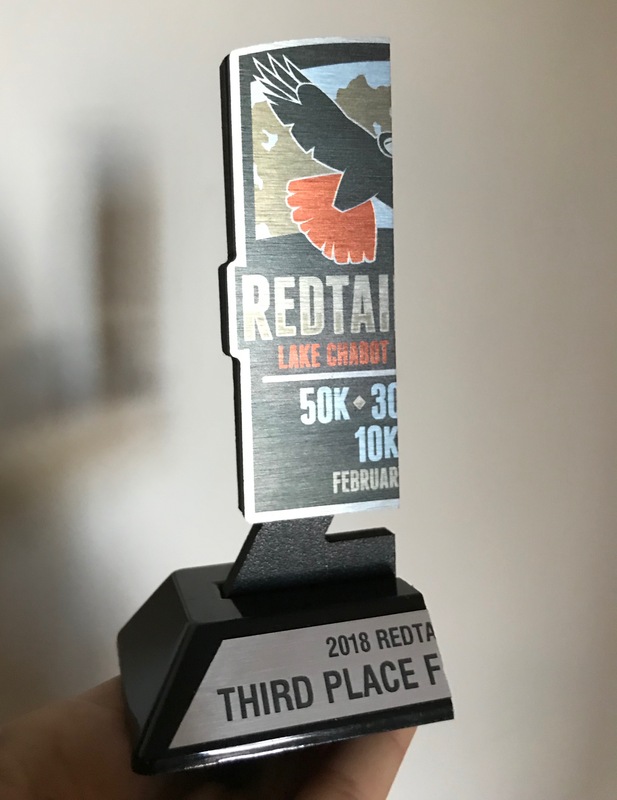 Help me out, guys – another four weekends of 30-mile Saturdays just seems daunting, miserable, and not worth it, but not doing the training seems like a bad option too. Suffice to say, the last few weeks have been rough. I was tired, overwhelmed, and not excited to run. And in the car on Saturday morning, I wasn’t excited at the prospect of another run. It just seemed like so much work. I thought about my options. I could either get out of the car and run the race. Or I could let Will run and go do literally anything else for five hours. Anything. I could go read a book or visit with friends or just wander around and explore the area. I was really grasping at any reason to not run this race. But, ultimately, I was basically at the start line already, and I’d already paid. Two really uninspired reasons to run. So I got out of the car, picked up my bib, and started the race. I’d run a couple of races in this park before, so the trails were familiar. The first few miles were along a lake – flat and forested, before we started a steep climb to the first aid station. I wasn’t pushing it too hard at this point in the race. I’d gotten food poisoning on Thursday, so wasn’t sure how much energy I had in the tank. This race was also supposed to be a training run, so it was more about the miles and less about the speed. As such, I hadn’t tapered at all, and had run back-to-back ten-milers on Tuesday and Wednesday. I was moving slow, and I was okay with that, because I wasn’t motivated to run anyway. That said, I was watching the color of the bibs around me. The 30k race had started at the same time as we had. They had green bibs instead of our yellow ones. Even though I wasn’t going for speed, I definitely looked at a racer’s bib color any time one passed me, which happened frequently, and hoped their bib was green. 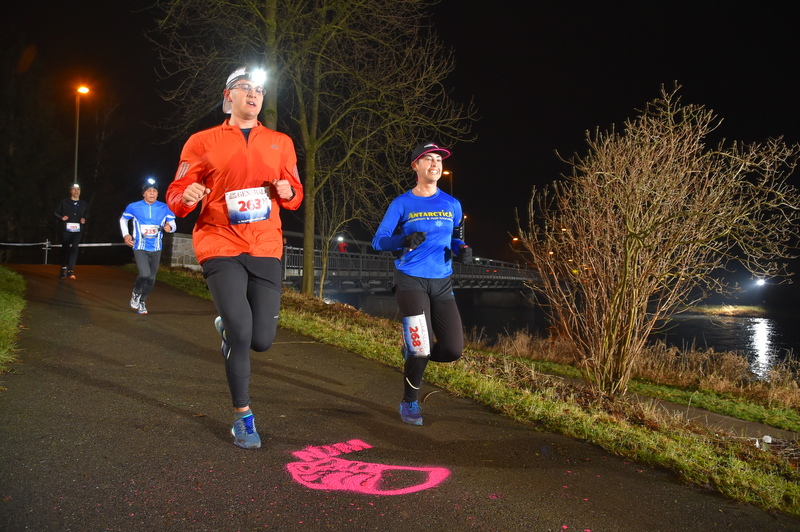 Runners going shorter distances should be running faster, so it doesn’t feel completely devastating when someone running a shorter distance scoots ahead. For a while, I didn’t see many yellow bibs at all, which was motivating. After the second aid station, we ran along a rolling, wide dirt road in verdant green pastures. The trail was sloppy with mud from recent rain, made worse by the … generous … presents that grazing cows had left us along the way. I took a quick pit-stop in the bushes and retied my shoes before the trail plunged back into the forest. I hadn’t brought my watch on this race. Sometimes, looking at your distance during a race can be more depressing than helpful. At the beginning of the race, I felt like I had so much going against me mentally already. It didn’t seem worth it to add to the misery by knowing how many millions of miles I had left to go. So, I’m guessing when I say it was somewhere around mile 10 when I picked up the pace a bit, for no reason other than it seemed like a good idea. At some point, I caught up to another runner, and fully intended to pass her, but she opened a conversation as we rounded a corner and stuck with me. I’m really glad she did. We spent the next six or eight miles together. 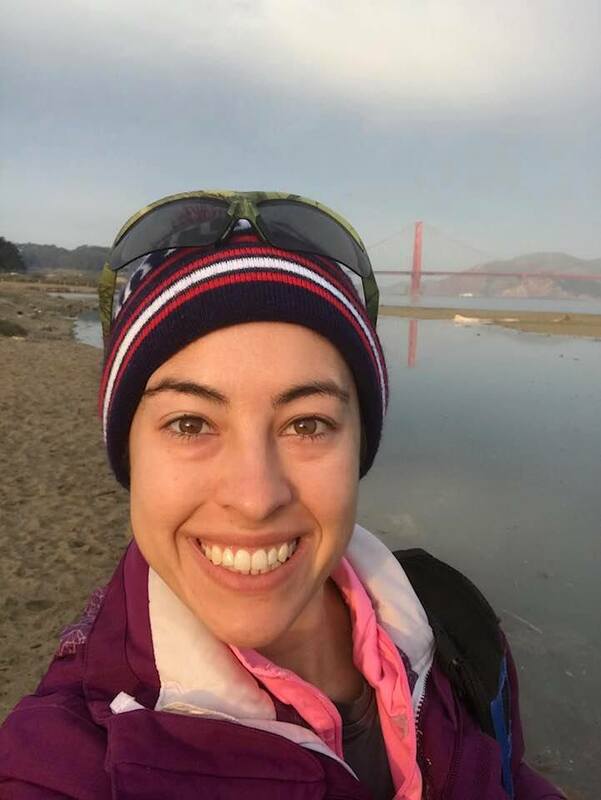 I learned about her running past [she used to live in Hopkinton, where the Boston Marathon starts!] and we chatted away a few hours of running. I felt like I could have gone a little faster at this point, but I was more excited to have company and someone to talk to. Finding kindred spirits is one of my favorite parts of long races. When we reached a downhill stretch, she and I parted ways; I’m a strong downhill runner and was feeling good. The 50k course included all of the 30k course; we headed back to the start line with the 30k runners, then turned around and went out for another 12 miles after that. As I headed back to the start line, I was feeling pretty good, energized by running with my new friend and excited by the prospect of running another 12 miles on the course. I would see her one more time on the course as I headed back out and she reached her finish line. I like courses that have little stretches of out-and-back. Some runners don’t, because it can be demotivating to run in the opposite direction of where you’re ultimately headed, especially when part of that is at the start/finish line. However, I think it’s fun to see the other runners on the course who are ahead or behind. It’s also an easy way to figure out how well you’re doing relative to other runners, because you can count who’s ahead of you. I hadn’t seen that many women with yellow bibs, and none that had passed me. With just a few miles to the turn-around at the start, I started looking out for runners coming the other way. I saw one – she was moving pretty fast, and she was about 2-2.5 miles ahead of me. I saw one more, but she had made a wrong turn and wasn’t running the 50k anymore. And then … I reached the turnaround. There weren’t any other women ahead of me. I was in 2nd place. And, even better, I was feeling good, both physically and mentally. Neat. I turned around and took off, trying to widen the gap between myself and whoever was behind me. 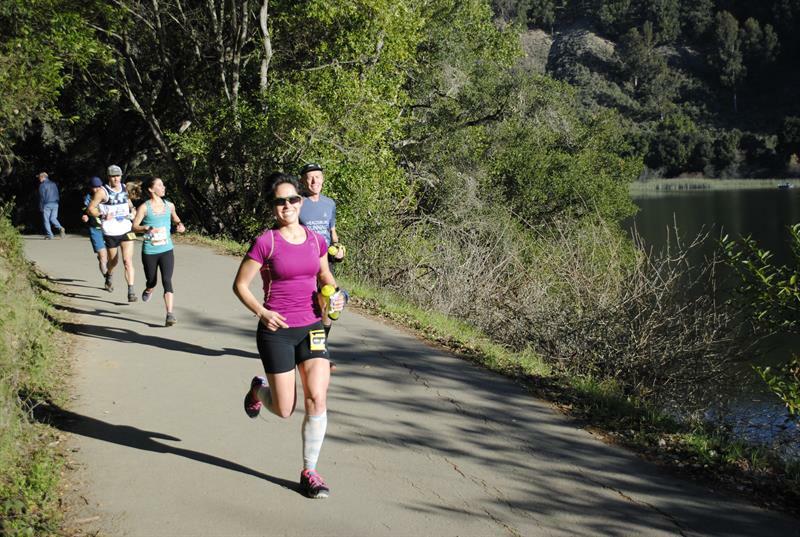 I quickly saw two women neck-in-neck, both 50k runners, about a mile behind me. So that meant I had to not lose a minute per mile to them, approximately, over the next 12 miles. It was 2nd place or 4th place. I was glad I had left some gas in the tank, because the next few miles were back up that first hill again. 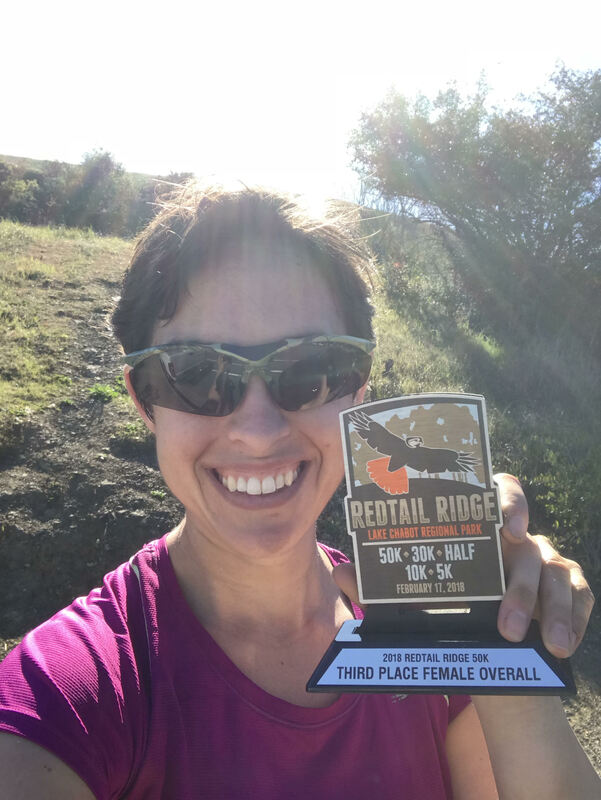 I paced myself, running the hill where I could and taking walk breaks on the steep parts where I needed to, and made it to the first aid station in good shape. There were three aid stations in this stretch, and I knew that if I made it to the 2nd one without getting passed, I could defend my position and sprint the last six miles to the finish. So the next few miles were somewhat anxiety-filled. Every walk-break, I was second-guessing whether or not I was wasting time by walking. This strategizing was kind of fun, too – not something I normally did in races, because normally I don’t compete for any meaningful prizes in races. I made it to the 2nd aid station – another out-and-back – and hadn’t been passed yet. As I left the aid station, I saw one of the other women behind me. She was still about ten minutes back. I was pretty confident that she wouldn’t catch me, but I didn’t want to take any risks. The last six miles were great. My legs had started to fatigue a little bit, but I knew I could go this last stretch without hitting the wall. These were the miles where I could feel my long runs paying off. I felt strong and prepared for the distance. After the last aid station, it was all downhill, and I flew all the way down to the lake. The last mile or so was little rolling hills along the lake, and I really pushed hard. At this point, it wasn’t because I was worried about getting passed, but because I was feeling good and I wanted to leave it all on the course. Will came back and ran with me for the last couple of minutes too, which was motivating and fun. 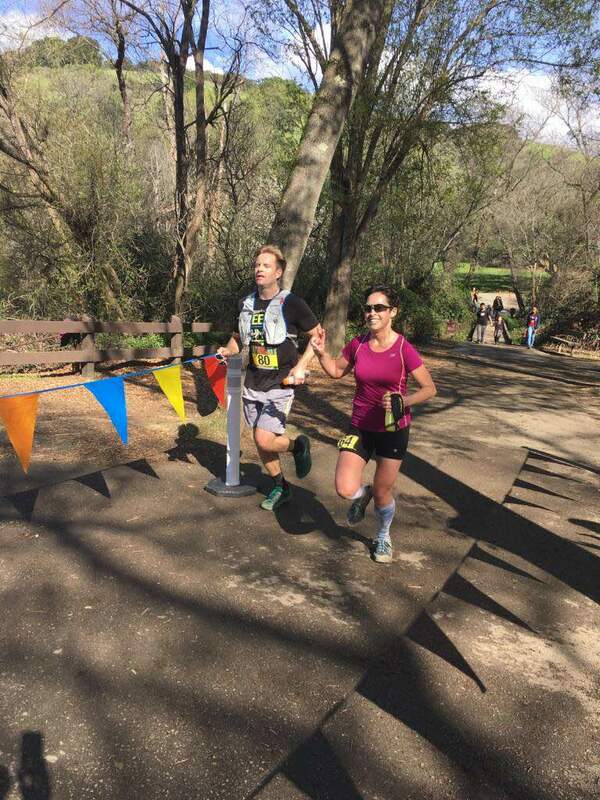 I crossed the finish line at 5:41, which was my 3rd fasted trail 50k time. And – I came in 2nd! I had a really great time out on the course. I had been feeling really burnt out on running. 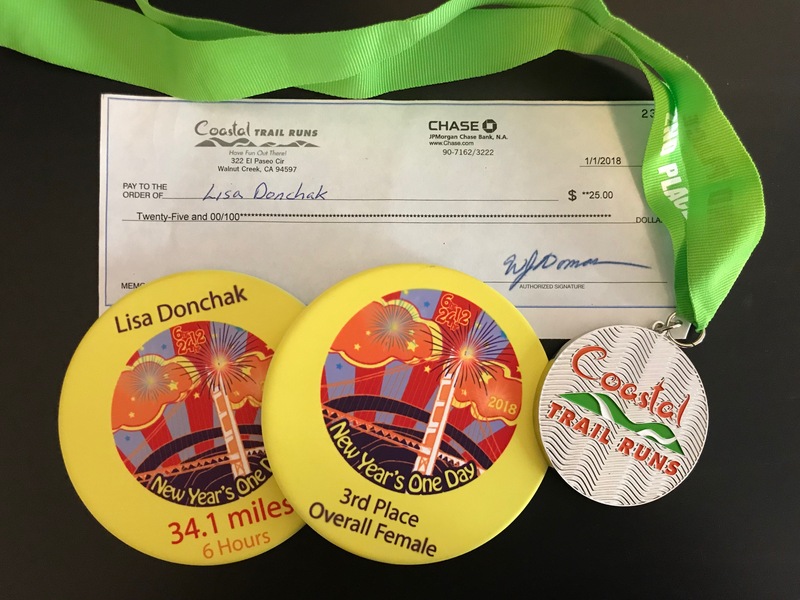 A fun race – which turned into a competitive race – ended up being just the thing to get me back on track. Training for a 100-mile race is hard work, and it was nice to take a mental break and see some of that training pay dividends. Sometimes we forget why we do the things we do, and it’s hard to get over the hump. 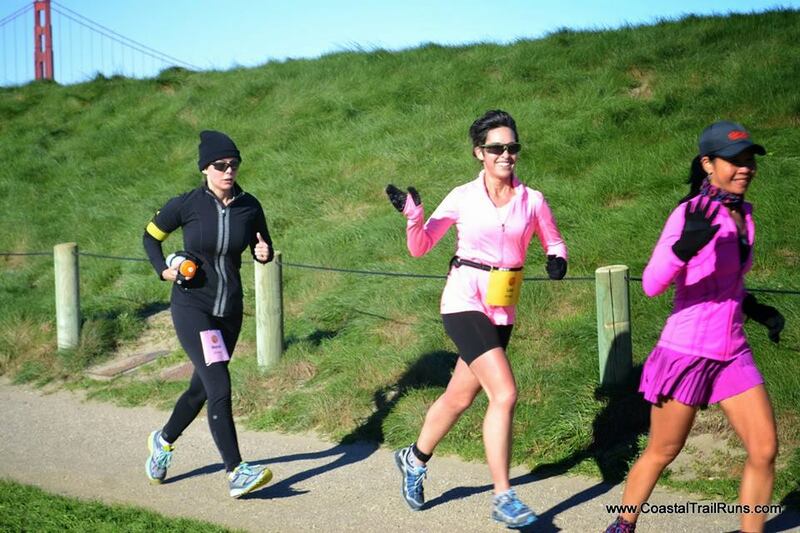 This race helped to remind me about the reasons I run. 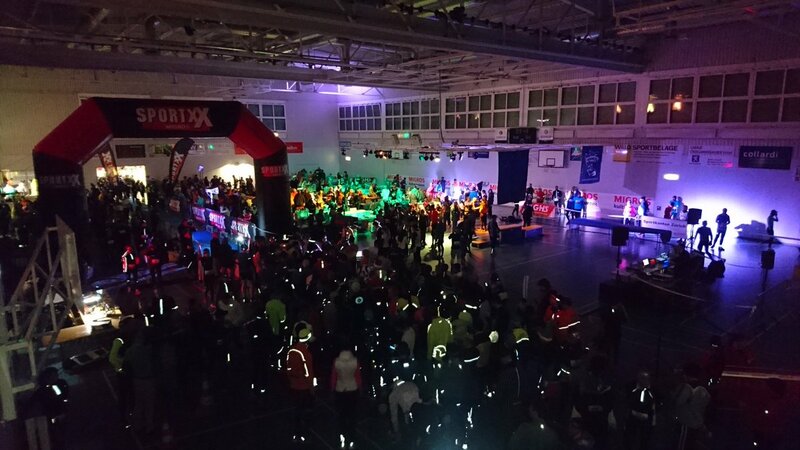 Running is a very multifaceted activity, and it draws people in for a variety of reasons. Some people love structured training, getting lost in the wilderness, racing competitively, or breaking PRs. As for me, I’ve always loved showing up to a race with no agenda, knowing that the time doesn’t matter, and also knowing that all I have to do is have a good time in nature. I don’t have to worry about the distance or about getting lost or about making sure I get home in time for something. All of that is taken care of, and all I have to do is relax into the trail, maybe make some friends, and appreciate being outdoors in a body I’ve worked hard to make strong. Swag. 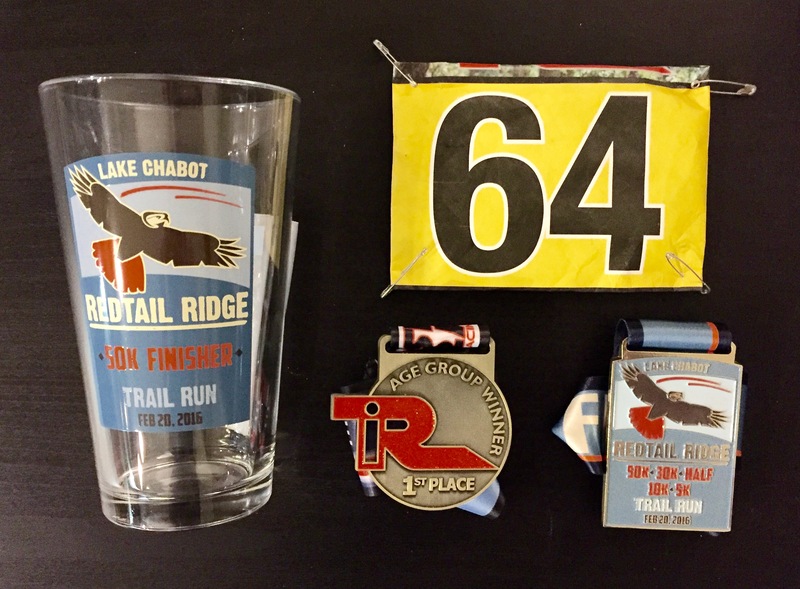 Bottom middle is the 1st-place age group medal, which is what they were giving out instead of 1st-2nd-3rd prizes. Also, what a great bib number. I started running when I got to college in 2006. This was after three years of fulfilling my high school athletics requirement with yoga and tech theatre which, yes, somehow counted as a sport. I was inspired to run by a friend who ran the 135-mile beast called Badwater. Despite no prior running experience or athletic abilities to speak of, I crewed for him during this race, and realized that if he could do five back-to-back marathons in 120+*F heat, I could probably do six miles a day. Also, I thought by burning more calories, I could eat more ice cream [protip: not true]. I had zero confidence in my athletic abilities. In middle school, I played defense when we played soccer – but not goalie, because I didn’t want the responsibility of actually defending the goal. I was the second-to-last person to finish the mile run fitness test – the one girl behind me had a medical condition and walked the mile. As a result, when I started running, for a long time I didn’t talk about running at all. I didn’t read about running. I definitely didn’t think too hard about running or the reasons I ran. I didn’t run with other people, and wasn’t even comfortable doing so until about five years later. Mainly, I was afraid of doing anything that might derail my newfound interest in anything athletic. I was afraid if I overthought it, I’d uncover all the reasons to not to do it. I started tracking my mileage in the middle of 2008, which was also the time when I ran my first marathon. 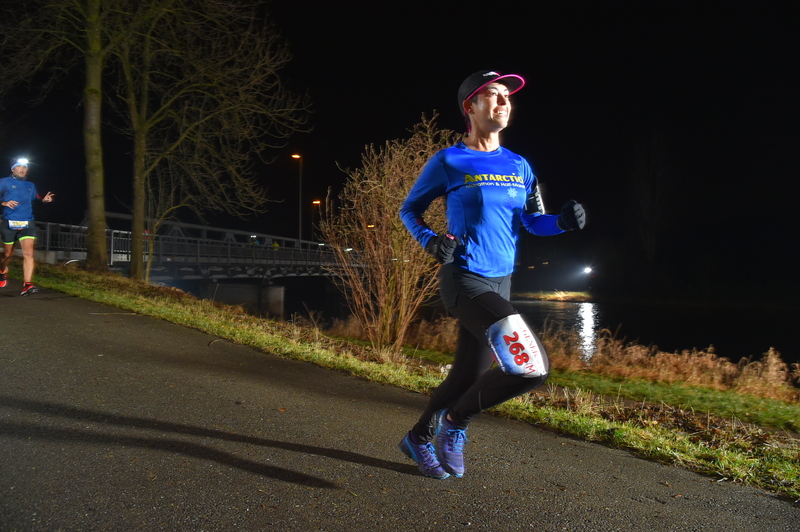 It wasn’t an official marathon – in fact, it was just me, running around near a river for 26.2 miles with a bottle of water and some Gu gels. I didn’t realize solo-marathoning was a big deal – probably because I still hadn’t read anything about running. It just seemed like the next logical step in my training. A year later, I ran my first ultra in Lake Tahoe; with no altitude training, I came in 2nd to last. 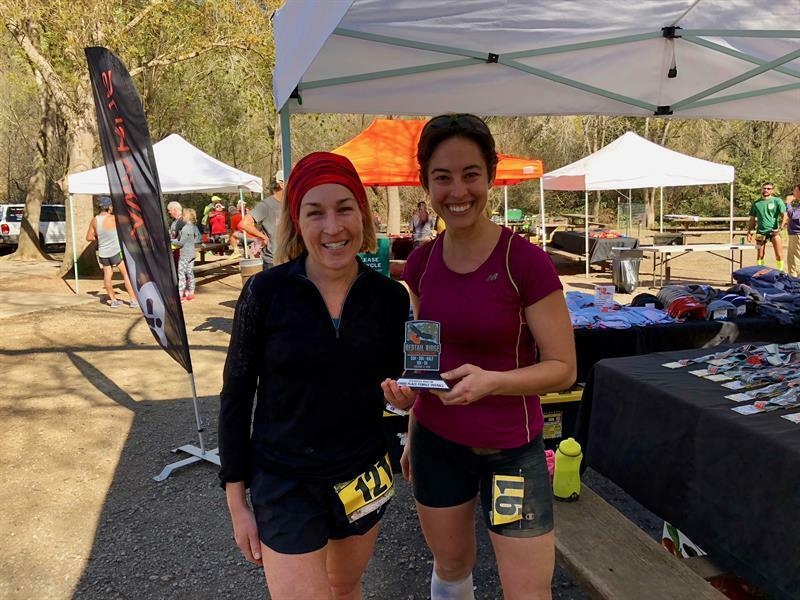 Two weeks after my first ultra, I ran my 2nd ultra – again, I didn’t know about recovery because I still hadn’t done any research about running. After another 50k a few months later, I finally ran my first real road marathon – San Francisco – in 2010. It was all downhill from there [but sometimes uphill. Lots of uphill]. I’ve now run 47 marathon-or-longer distances and covered a lot of training miles in between. I’ve also learned a lot. In classic consultant style, here are three lessons that stuck with me. A good run doesn’t make you a good runner. A bad run doesn’t make you a bad runner, either. While the academic definition of a “good” runner is one who runs really fast, the majority of us probably won’t be breaking any records any time soon. That means that we have to come up with our own definitions of success. For me, success is consistency – consistently getting out there, even when I don’t really want to, or it’s raining, or I’m tired. To me, a good runner is a consistent runner – one who runs when they say they will, and doesn’t create excuses in order to skip days. One good run doesn’t make you a good runner if you never run again; it just means you had one good run. A “bad” run doesn’t make you a bad runner, either – it’s just an opportunity to get out there the next day and try again. The key is just doing it. There are a lot of different types of runners; celebrate and learn from them. There are short-distance runners and long-distance runners. There are people who run once a week and athletes who train 10-15x/week. There are people who run one marathon – ever – and elite athletes who race 10+ marathons a year. There are people who love treadmills, and there are people who hate them. Some runners love Gu; some runners are vegan. Some runners like running naked – of electronics, while some like running actually naked. Some just keep their feet naked. My feeling is, if whatever you’re doing is working for you, keep doing it, and don’t judge those who do it differently. I am a runner. I’m a lot of other things, too. Probably one of the most difficult times in my life was a year and a half ago, when I had a knee injury. I don’t know that I’ve ever fully written about it on this blog, because it was a really difficult time for me [I did write about an earlier injury]. Running had been so core to my life, and my self-identity, for the past several years. When I went running on Sunday mornings, I called it “runner’s church,” because it was my way of getting in touch with myself and my environment. I even had my own Runner Heaven. 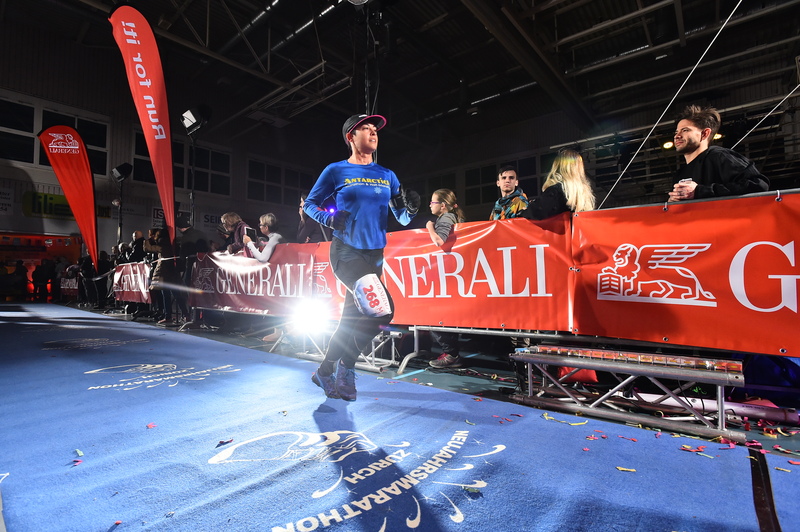 Being injured – the prospect of never fully recovering, and never being able to run any appreciable distance again – really made me question how I defined myself and what was important to me. Importantly, it made me realize that while I am a runner, I’m a lot of other things too – a daughter, a sister, a girlfriend, a photographer, a sailor, a student, a sometimes-dancer, a wannabe chef, a reader, a behavioral scientist, a TA, am ailurophile – the list goes on. Running may be core to my identity, but, especially when I’m injured, I have to remember that there’s so much more to runners than just the act of running. I may never add a 6th digit to my lifetime mileage. To reach 100,000 miles, I’d have to keep running 2,000 miles a year … until I’m 70. Or run this 3,100-mile race every year for 30 years. Or run the 1,000-mile Iditarod race three times a year for the next 30 years. That’s a lot of running. If I’ve learned anything over the last 10,000 miles, it’s that there will always be faster runners. There will always be runners who run farther. There will always be runners who are just a little bit more extreme. But running isn’t about that. Running is about the personal satisfaction we get – from achieving our goals, being out in nature, and just giving ourselves some time to explore.